Gov. Paul LePage is skipping a planned trade mission to the United Kingdom and Ireland on the advice of his physician 13 days after he was hospitalized for what his office would only describe as “discomfort.”. Peter Steele, LePage’s communications director, on Friday described the decision as a precautionary measure. “He definitely wanted to go and is in good health,” Steele said in a short email to the Press Herald. Other members of LePage’s staff, including press secretary Julie Rabinowitz left for the nine-day trip Wednesday. 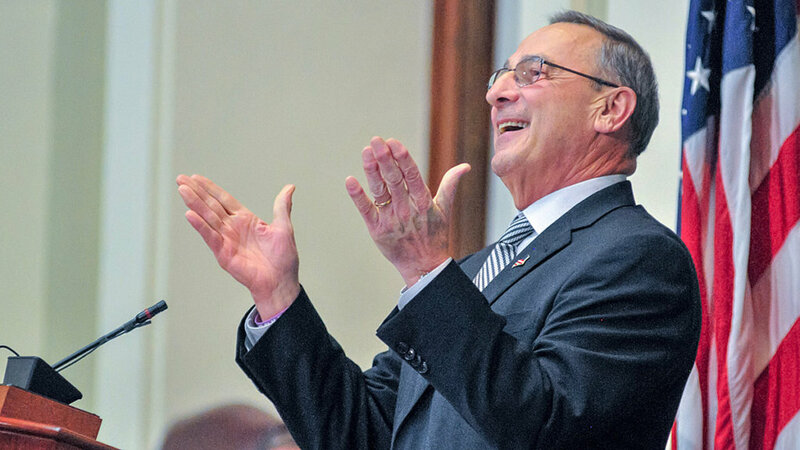 LePage was treated in the hospital’s cardiac unit, according to other State House officials. Steele would neither confirm nor deny that LePage was treated in the cardiac unit, only announcing that LePage was working from the state’s official governor’s residence, the Blaine House in Augusta, two days later on Aug. 27. Steele said last week that LePage’s medical conditions would not be discussed with the media. LePage himself has disclosed information about prior hospitalizations months after they occurred, including bariatric surgery in 2016and a biking mishap in Florida last November. On Friday, Steele again declined to comment on why LePage was hospitalized and referred other questions on the trade mission to an official at the Department of Economic and Community Development and to the Maine International Trade Center. The trade mission is expected to feature “business meetings, group events, and unique cultural opportunities designed to help Maine companies expand their business development networks in these important markets,” according to the Maine North Atlantic Development Office, an agency within the trade center. Among other activities, delegates are planning to participate in the Leeds International Beer Festival in England, a “Maine and the UK” event in Parliament’s Palace of Westminster in London and the Taste of West Cork Festival in Skibbereen, Ireland. The focus of the trip is on aquaculture, defense and security, food and beverages, information technology, life sciences and medical devices, and marine equipment and technology, the office said.